The Edinburgh Gin Hamper is an excellent gift for your favourite gin connoisseur. Featuring small batch multi-award-winning Edinburgh Gin distilled in Scotland's capital city, it offers classic gin botanicals of juniper, coriander, citrus peel, angelica and orris root expertly combined with Scottish juniper, pine, heather, and milk thistle. When this gin is poured into a glass, the smell of pine envelopes you as if you are walking through a forest. The taste is full of warm peppery spicy notes. 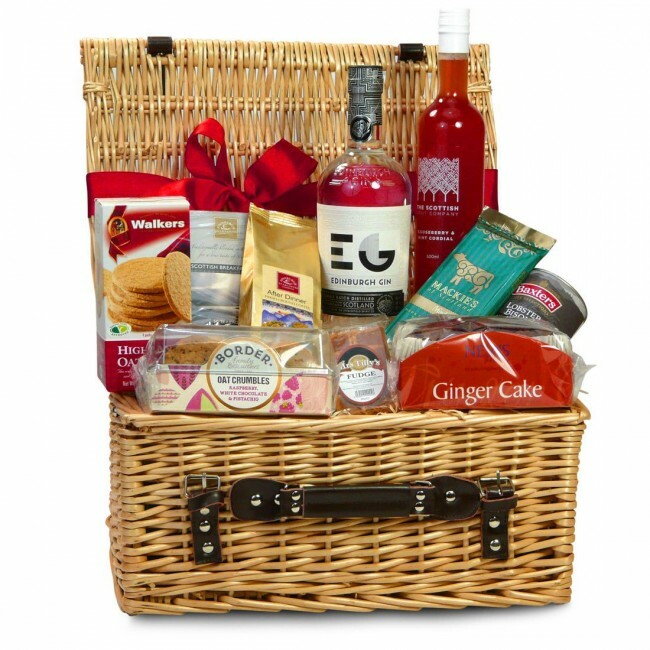 To complement these flavours, the hamper is also brimming with old-fashioned ginger cake, luxury Scottish fudge and dark chocolate, oat crumble biscuits and savoury oatcakes. These, as well as quality tea and coffee, will be delivered to a door of your choosing. Decorated with a bow and personalised card, the Edinburgh Gin Hamper can be delivered within the UK and abroad. Next day delivery is available on orders before 1pm. 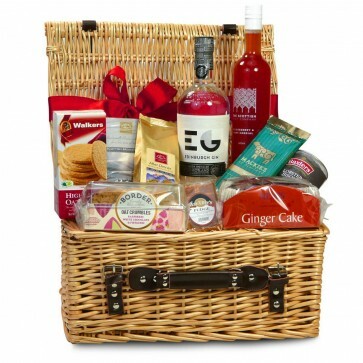 The Edinburgh Gin Hamper is carefully packed by hand in an elegant wicker basket with hand-tied bow. Remember to please tell us what you’d like written on the personalised gift card included inside.